Ambitious kitesurfing entrepreneur Simon Jones can see a fantastic future for the sport and for Rhyl – making the most of the town’s natural assets. 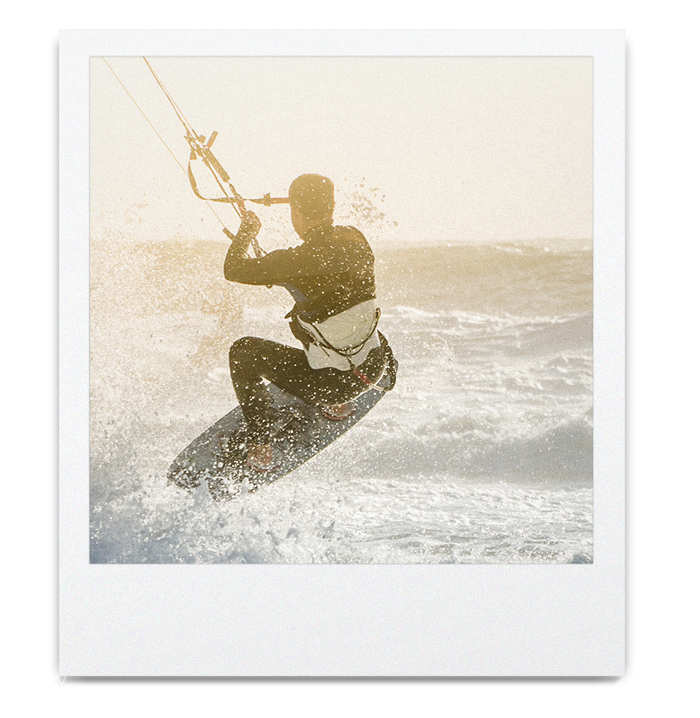 Simon, who runs the Pro Kite Surfing School and Club, has big plans and a vision to make Rhyl the home of UK kitesurfing, bringing visitors and international competitors to participate on the waters of the Irish sea. And when the wind drops, he’ll just redirect them to an inflatable wake park, or the land side training facilities he believes will make Rhyl a must-visit destination. “We have a great opportunity here. I want this to be a unique facility – the flagship for the whole of the UK. It’s a spectacular sight when you have maybe 18 or 20 kites out on the water. Kitesurfing is already attracting people to Rhyl, but Simon believes it can be much more of a driver to boost visitor numbers. Simon believes a purpose-built facility with a dedicated shop and incorporating other attractions such as a climbing wall, trampolines for skills training and a café overlooking the water would prove a major draw.